Two new trademark applications point towards EA studio Visceral Games journeying back to the 19th century to visit London's original serial killer, Jack the Ripper. Superannuation has dug up two trademark applications filed by EA on the 30th of August for "The Ripper," both indicating the trademark is in regards to "Computer game software; Computer game software downloadable from a global computer network; Video game software." The trademarks seem to lend credence to comments made by the LA Times' Ben Fritz in a blog posting back in July. 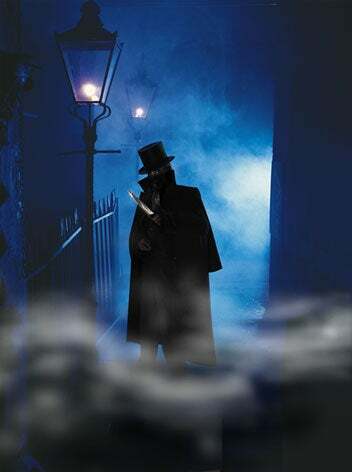 ...two sources close to EA told The Times that Visceral's next game would be Jack the Ripper, based on the 19th century British serial killer. It's not clear what the game would involve, but it's a natural follow-up of sorts to Dante's Inferno, which is also based on copyright-free historical material. I'd have to agree with Ben here. It does seem like a natural next step for the team at Visceral, and a current-generation title based on one of the most notorious killers in history would certainly turn a few heads. I'm just trying to figure out how they'd turn the tale of Jack the Ripper into a big-budget, action-adventure title. I suppose shortening the name to The Ripper would be a start. We've contacted EA for comment on this story, and are waiting to hear back.